» [???]BSP(?? ??? ??) 1-9 ? Hello! I'm working in a Wolf3D Hack, called ''Wolfenstein 3D Insane!''. It isn't already finished, but it will finish it soon. I'll just add enemies in the map, and this is onliy the episode 1 (only works in ''I'm Death incarnate'' difficulty. The complete version will have more difficulties, more secrets, more maps, more doors. [???]BSP(?? ??? ??) 1-9 ? sad to say this but WLhack(toni) is leaving for a year because he has to join the army. I wish him the best of luck and that probably means that the mutant uprising will be delayed a long time. 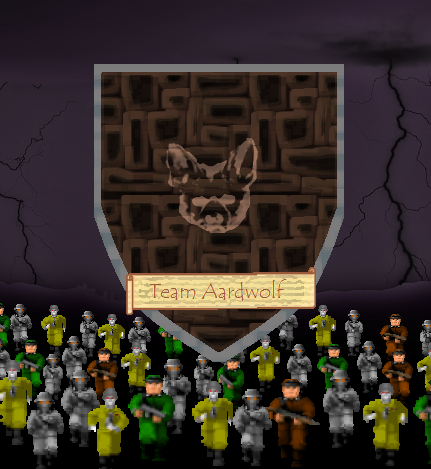 Since the final fight is now done and released Team Aardwolf will now devote all of their wolf3d modding time to The Mutant Uprising.